According to Reporters Without Borders’ Press Freedom Index for 2013, Finland is ranked as the best nation in the world when it comes to press and speech freedom. The history of Finland has motivated it to that number one position when compared to the rest of the world. Throughout Finland’s history the media has played a huge role in shaping the country’s politics and keeping the government accountable. Finland’s geological location has placed it in the middle of numerous wars and it has been influenced by many cultures. In 1776, Finland, along with Sweden, enacted the World’s first Freedom of Information Act which abolished political censorship and gave the public access to government documents (Suomen Journalistilitto). Since this law was enacted, it has motivated similar legislation around the world and has evolved into the standard for politically addressing free speech and press. Today, the population of Finland is around 5,246,000 people spread across 130,558 square miles on a peninsula in northern Europe. The common languages of the country are Finnish and Swedish and the capital of the country is Helsinki on its southern coast. The economy relies on a water-based industry by exporting metals and timber through its many shipping ports (Finland Facts). Finland is a relatively young country compared to its counterparts and was built on a foundation of modern ideals influenced by a history of war. “Geographical location, physical conditions and natural resources, population, economic and cultural progress…and…location has determined the manner in which the situation in the world at large affects the fate of the Finnish nation” (Puntila 9). When Finland was first discovered, it was a part of Sweden, and in 1809 Sweden surrendered Finland to Russia. 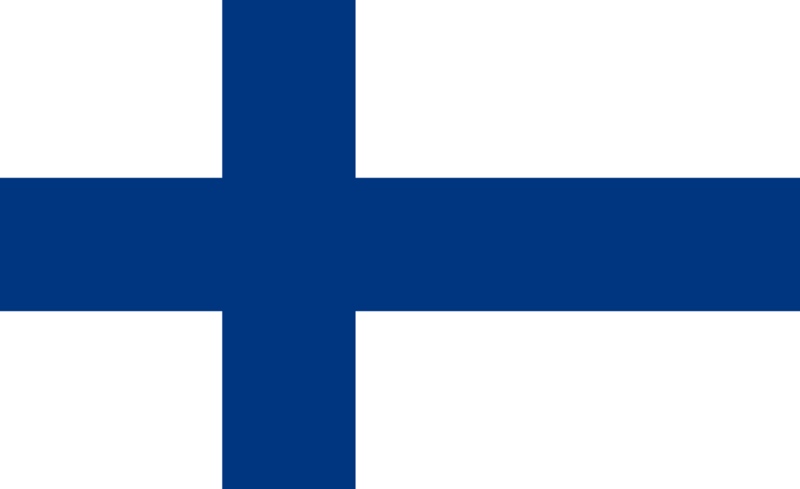 In March 1917, Finland announced its independence from Russia and became its own country. The Finish political parties secured a manifesto on March 20 from the Russian Provisional Government, which repealed the decrees of the previous decade that restricted their rights, promised a new constitutional settlement, and convened the Eduskunta1. A new governor-general, and a minister state-secretary were appointed, while the senate was taken over by a coalition of six socialists and six non-socialists. During all of this change, the servants of the fallen regime were arrested and driven from office (Kirby 40). political rights that define the functions of the democracy. The second section is about general rights and the third section regards social rights such as a free education (Nousianen 150). During this time, World War I was ending and Finland was a neutral territory. The war provided the opportunity for the country to declare independence from Russia and led to a majority of its laws. with a peace treaty that released southeast Finland to the Soviet Union. Finland, during the Continuation War, allied with Germany to fight the Soviet Union for a second time. The war ended with the Paris Peace Treaty of 1947 and Finland lost Petsamo on the Arctic Ocean (Short History of Finland). After the war, Finland focused on war reparations, new settlements and the reconstruction of destroyed homes and infrastructure. War reparations to the Soviet Union were in the form of steel products. To meet the demand, the steel industry required substantial investment and restructuring. It was during this time that Finland permanently transitioned from an agricultural to an industrial society. In the 1990’s, 80% of the countries import was unrefined oil from the Soviet Union and the countries chief export was forestry products. In the east, the industry was in steel products and ship building. Since, the industrial revolution in Finland was more recent than other countries it had the opportunity to incorporate technology that automated its industry. This helped Finland join the richest third of European states in the 1970’s (Meinander 166-168). Included in the second section of the Constitution of the Republic of Finland are the rights to free speech and press. The free speech law gives citizens the right to state their opinions publicly on all matters without hindrance from the authorities (Nousiainen 152). The Constitution of Finland was built on lessons learned during war before Finland was its own country in 1917. During the end of the war, strike action was forbidden and industrial workers were upset about their working conditions and wages (Kirby 46). All around the country were communist countries that had strict regulation on speech and press. More recently, in 2012, a prominent politician in Finland was charged with defaming Islam for “Islamophobic” comments he made on his personal blog. Jussi Kristian Halla-aho was found guilty of “inciting hatred against an ethnic group” for blog posts he made in 2008 that compared Islam to pedophilia, and for sarcastic comments that insinuated that immigrants from Somalia are predisposed to stealing and living off welfare. He argued that his statements were factual and he used terminology in its literal meaning and not its social interpretation. As far as the statement about the Somalians, he says he replaced “Finns” with “Somalis” to show that both are not treated equally by the media and the term “Somalis” is under special protection by the media and the government. He argues that both should be portrayed equally and there should not be a stigma when they are talked about publicly in the country. He, also, mentioned in the post that the argument is supposition and not factual. In the end he was found guilty for the crime and was fined and ordered to remove the blog posts and comments (ClarionProject). This shows that Finnish law has changed in the last few decades to regulate speech more than it had in the past. The Act on the Exercise of Freedom of Expression in Mass Media was enacted in 2003 and outlines media violations, or guidelines and legal actions that can be taken for violating the act. This act is different than other press regulations because it is about modern media; while other regulations are generalized and about the press as a whole. It is less of a restricting document than it is a guideline for how the media should legally operate. “This Act contains more detailed provisions on the exercise, in the media, of the freedom of expression enshrined in the Constitution. In the application of this Act, interference with the activities of the media shall be legitimate only in so far as it is unavoidable, taking due note of the importance of the freedom of expression in a democracy subject to the rule of law” (Finland Ministry of Justice). The act requires that the publisher of a media company designate a responsible editor to be responsible for the media publicized. It also requires that the media companies be prepared to take follow up action if a piece is found to be false or breaks a regulation. This act is the first regulation on media that has been enacted in Finland in several decades. The first time there was regulation in Finland was during World War II when there was pressure to control the media from the USSR. The government decided to step in at the end of the war by censoring media in Finland to ensure the external security of the nation. The censorship of media in Finland officially ended in 1947, but the media continued to self-censor depictions of the USSR and any writing about the Soviet Union. Also in 1948 a special amendment was made to subsection 4a of section 14 of Finland’s Criminal Code. According to the new law, a journalist could be given a prison sentence of up to 2 years for articles defamatory to foreign powers, should the president decide to press charges. This law was officially revoked in 1995. Most of the censorship of the press in Finland has been in the form of self-censorship which had been motivated by the government in an unofficial way. “President Paasikivi influence the press with telephone calls, [meetings] and speeches about the newspapers” (Salminen 16-17). Also, the Communist Party of the Soviet Union reached out to the Finnish media and persuaded the press to publish their propaganda. Surprisingly, the propaganda was effective and the USSR was being looked at more positively in Finland and in other Western countries. Even though this was not a form of official regulation, it was a government utilizing the media to progress its agenda in the war (Salminen 23). Overall, during the Cold War Finland played a crucial role of communicating actions in the Soviet Union to the rest of the world. The media was still self-censored and allowed to publish whatever it wanted, both positive and negative, about the USSR. Russia and the Soviet Union protested the actions of the Finnish media and prompted the Finnish government to step in and control its citizens. During the 1970’s the political leadership of Finland received a steady steam of comments, complaints and warnings from Moscow concerning the output of the press. The self censorship of media in Finland was a world-wide topic of discussion because it controlled and publicized the relationships of the countries involved in the war. Self-censorship of the media in Finland, regarding the USSR, ended in 1991 when the USSR formally ceased to exist on December 26 (Salminen 5-7). Finland is the ideal country when it comes to free speech and press laws in a democratic country. In comparison to the United States which ranks 32nd in the world by Reporters Without Borders, Finland values and protects the freedoms of speech and press more. The case of Ruusunen v. Finland, about publicizing the private life of the prime minister, can be compared to publicizing the president’s private life in America which is permitted as long as it is true. In Finland they have all of their government documents available to the general public; compared to the Supreme Court case: New York Times v. United States which was about the publication of private government documents there is a huge difference in what is kept secret from the public in America. Even today in America there is an issue with secret documents being released to the public that show how the government is acting “behind the curtain.” If they publicized their actions then they would not be able to hide anything and the American people would trust and support them more. Public figures in America often make statements about other countries and racial groups without any repercussions from the government. However the general public usually holds them accountable for what they say and do. In Finland they keep their public figures and politicians accountable by prosecuting them when they violate the regulations in place. The regulations are there to protect the country as a whole from any foreign conflict that could lead to war. Similar to this law in Finland, America has the clear and present danger test that allows the government to regulate speech and press if the action in question can cause immediate harm. Like Finland, during war the US has censored media to control unnecessary conflicts with other countries. Wartime censorship can be enacted during a time of war by the Office of Censorship if the media and communication amongst citizens can lead to further conflict. In comparison to the anti-strike laws in Finland, in 1943 the US government passed the Smith-Connally Act that allowed the federal government to seize and operate industries threatened by or under strike that would interfere with war production, under this law the government was able to seize control of a privately owned war plant if the workers went on strike. Also, in Finland the desecration of the flag is against the law and one can be fined for treating the flag in a disrespectful way but in the United States, flag desecration is protected by the First Amendment because of the court case Texas v. Johnson. In the case the court found flag desecration to be a form of symbolic speech and ruled that it is protected by the Constitution. Overall, Finland has set the standard for regulating free speech and press in the world. It has reached the number one spot on the list by Reporters Without Borders because of its development as a country and its initial founding. Politicians in Finland have valued press and free speech throughout history because they understand the important role that both play in the success of Finland being its own country. Finland’s laws have provided a neutral ground for many world disputes and wars which have lead to the development of the modern world. It seems as though most countries are looking to Finland to be the example for how these laws should be enacted as media and communication evolve with new technology. “Case Law, Strasbourg: Ruusunen v Finland, The Private of Life of a Prime Minister – Dominic Crossley.” Inforrms Blog. N.p., n.d. Web. 26 Mar. 2014. <https://inforrm.wordpress.com/2014/01/20/case-law-strasbourg-ruusunen-v-finland-the-private-of-life-of-a-prime-minister-dominic-crossley/>. “FEX News.” Freedom of Expression. N.p., n.d. Web. 26 Mar. 2014. <http://www.journalistiliitto.fi/en/the_game_rules/freedom_of_expression/&gt;. “Finland Facts.” National Geographic. N.p., n.d. Web. 26 Mar. 2014. <http://travel.nationalgeographic.com/travel/countries/finland-facts/&gt;. Finland, Ministry of Justice,. Act on the Exercise of Freedom of Expression in Mass Media. N.p. : n.p., n.d. Finlex. Web. 26 Mar. 2014. <http://www.finlex.fi/en/laki/kaannokset/2003/en20030460.pdf>. “Finland’s Supreme Court Nixes Free Speech About Islam.” ClarionProject.org. N.p., n.d. Web. 26 Mar. 2014. <http://www.clarionproject.org/analysis/finlands-supreme-court-nixes-free-speech-about-islam>. “ICL – Finland – Constitution.” ICL – Finland – Constitution. N.p., n.d. Web. 06 Apr. 2014. <http://www.servat.unibe.ch/icl/fi00000_.html&gt;. “Short History of Finland.” Short History of Finland. N.p., n.d. Web. 26 Mar. 2014. <http://www.bridgeguys.com/International/FinlandHistory.html&gt;. Kirby, D. G. Finland in the Twentieth Century. Minneapolis: University of Minnesota, 1979. Print. Meinander, Henrik. A History of Finland. New York: Columbia UP, 2011. Print. Nousiainen, Jaakko. The Finnish Political System. Cambridge, MA: Harvard UP, 1971. Print. Puntila, Lauri Aadolf. The Political History of Finland 1809-1966. London: Heinemann, 1975. Print. Salminen, Esko. The Silenced Media: The Propaganda War between Russia and the West in Northern Europe. New York: St. Martin’s, 1999. Print.